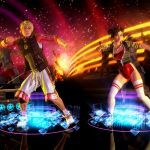 Dance Central 2 is the direct sequel to the original Dance Central, and offers gamers another opportunity to get their groove on, both with characters that they know, and with some new ones. In this game a new play system is implemented -- 2-player simultaneous gameplay -- which means that you can now dance in the same room with your mates. 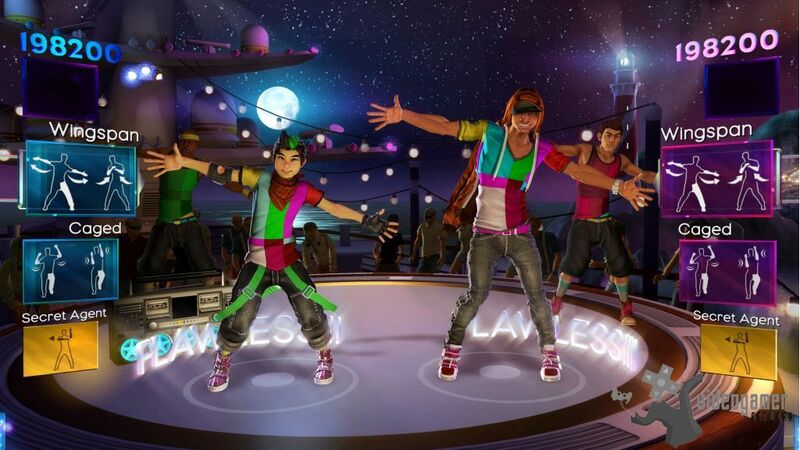 There are 10 characters for you to experience, 5 new and 5 returning, and they are organized into 5 dance crews of 2 dancers each. The new characters include Bodie (Riptide), Glitch (Hi-Def), Jaryn (Glitterati), Kerith (Glitterati), and Li'l T (Flash4wrd), and the returning characters are Angel (Lu$h), Emilia (Riptide), Mo (Hi-Def), Miss Aubrey (Lu$h), and Taye (Flash4wrd). Flash4wrd is an all-female hip-hop crew, while Lu$h is a crew with a sailor's theme. Riptide is a sport-oriented crew, and Hi-Def is an all-male street dancing crew. The Glitterati on the other hand are something of a mysterious crew whose raison d'etre seems to be to antagonize pretty much everyone else within campaign mode. 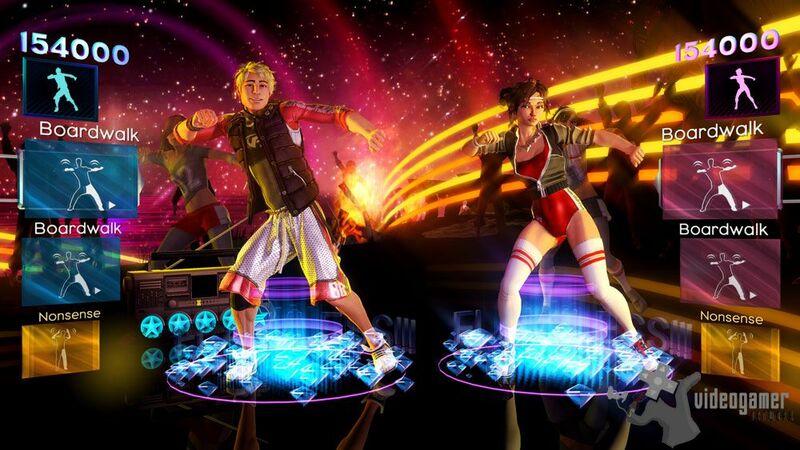 The improvements to the game did not arrive out of the blue -- the two-player drop-in / drop-out is a direct response to massive criticism that the original game received; it was presented as a "Party Game" that is intended to be played and enjoyed in company, but the first game featured one dancer, period. Not what most players considered a party game in other words, and they were very vocal about how that made them feel. The players declared that it did not feel like a party game, and so the developer made it feel like a party game -- who can ask for more than that? There are several new features in the game, such as the previously mentioned simultaneous two player gameplay, which is operative in both cooperative and competitive modes that feature drop-in / drop-out play. 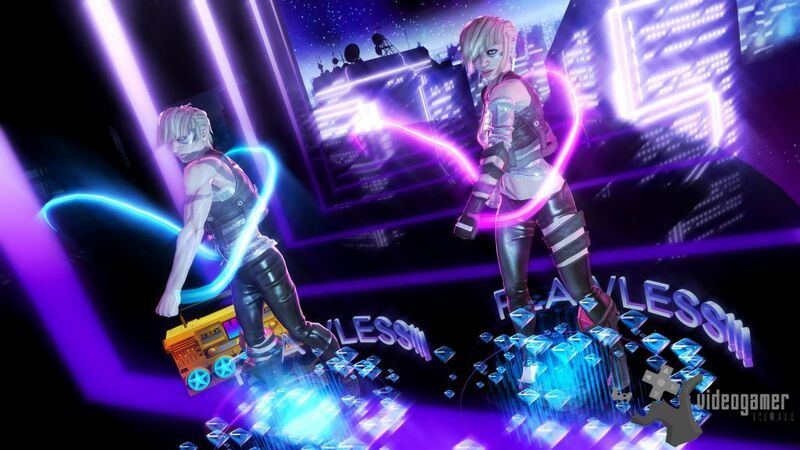 Voice control has been added (after all this is a Kinect aware title), and an improved fitness mode that features a more flexible "Break it Down" mode with more customization options to it, allowing the players to practice specific moves in a routine repeatedly in order to master them. We cannot discuss the dual-player feature without remarking upon the fact that the developer did not take the easy way out in this -- the players are not necessarily dancing the same moves when they dance together you see, there are choreographed duets that are just bloody brilliant, and when you are going head-to-head for points on the other dancer, well, you can use your imagination. Add in the massive improvements to the campaign mode, with crew challenges being the icing on the cake. Dance Central 2 features 40 songs in the base game, but of course it will also support DLC songs that can be purchased on Live and, like its sister franchise Rock Band, gamers will be able to import the entire song list from the original Dance Central after purchasing the license for 400 Microsoft Points ($4.99 US) -- provided that they have the 16-character code printed on the back of their Dance Central manual and at least 250 MB of available storage space. 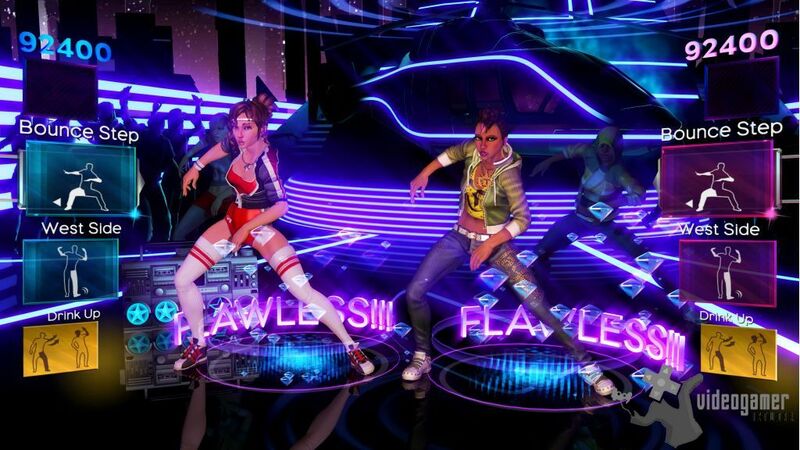 Dance Central 2 is not a major shakeup -- we are not talking an all-new game here. What it is (and this should be emphasized) is a brilliant reworking of the previous game, incorporating carefully thought-out improvements requested by the players, and the results are what feels like a new game nonetheless. 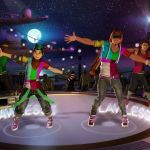 This is a good thing, and even if you are not a fan of the dance-style games, here is one you will at the very least want to try... Assuming you have the kit for it, which means Kinect. It is a telling point that this title springs from the creative loins of Harmonix. They bloody well established the music rhythm genre of gaming, and when they take on a genre -- like dance rhythm -- it gets done right. We expect when you get your hands upon this title, you will find it as engaging as we did at E3, where there was a nice wide dance floor and nothing to get underfoot... In the interest of animal rights groups, we feel obligated to mention that, if your gaming space is relatively small, it would be an idea to put your pets -- dog, cats, whatever -- in another room and shut them in for their own sake... We're just saying, Stomping at the Savoy is fine, stomping on Rex's tail? Not so much. 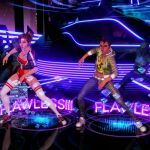 Lady Gaga Screens and Video - Dance Central 2 | A few Lady Gaga screenshots and a video have been released today by ..
Dance Central 2 Free Demo Available Now on Xbox Live | A new demo for the much anticipated next entry in the seres, Dance C..